Bottlebrush is a native of Australia. 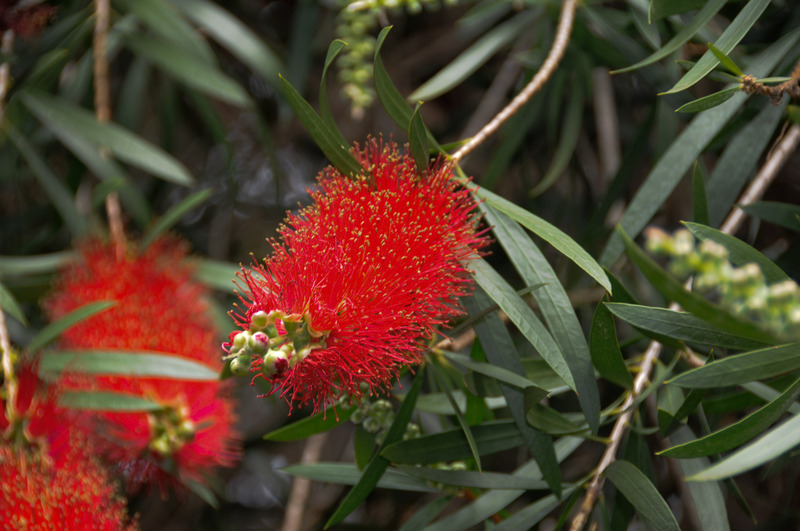 This hybrid, ‘King’s Park Special,’ is a sterile hybrid developed to avoid the production of seed heads that some growers consider unsightly. (Personally I think they look sort of cool.) It does not occur in the wild. 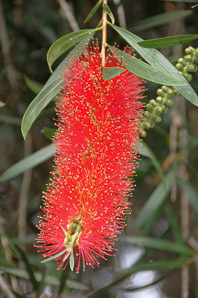 Callistemon cv. 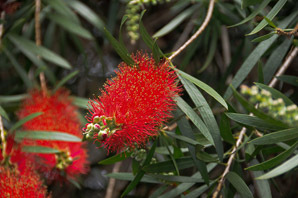 ‘King’s Park Special’ description by Thomas H. Kent, last updated 12 Oct 2018.